At Kimbolton we aim to develop every child’s imagination and their ability to express ideas and communicate in creative ways. It is through Drama that this expression is encouraged - from story-telling and imaginative play for our youngest pupils through to the development of acting, dancing and singing skills with a multitude of opportunities at the Prep and Senior Schools. We seek to cater for everyone with an interest in the performing arts, from those hoping to pursue an acting career, to those who simply want to develop their confidence and public speaking skills. Highlights of the year include the Senior School production, which includes all years from First Form through to UVIth, the Lower Prep Nativity and the Year 6 production, all of which showcase the talent nurtured at Kimbolton School. In addition to this we have the Whole School Gym and Dance Display, which is a wonderful display of talent of all ages from six to 18! For our youngest pupils, our Nativity plays and whole year group performances in Reception to Year 2 offer children a chance to perform in front of an encouraging audience of parents and friends. For the annual Nativity play we split pupils into two casts, so that all children have speaking roles and gain a huge amount of satisfaction as well as a sense of achievement from working together. 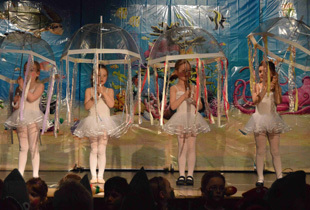 The year group performances take place during the Spring or Summer Terms, when parents and other family members are invited to watch a presentation involving all the children in the year. 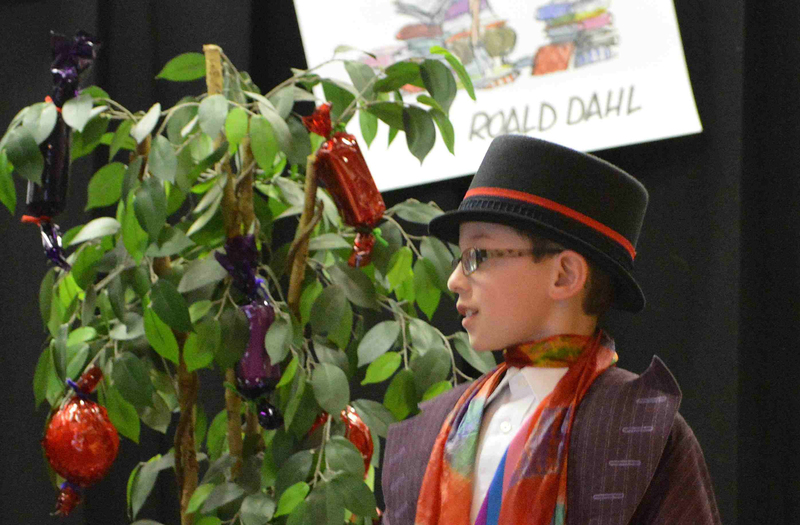 Drama is taught to all pupils as part of the curriculum in the Prep School from Years 3 to 6. In Year 6, children take centre stage in the Year 6 production, supported by the Junior and Senior Choirs. Recent performances have included Alice in Wonderland, The Tempest and Treasure Island. At the Senior School all pupils receive one hour a week from the First to the Third Form. Drama is available as a GCSE and A Level option, where pupils with a particular interest in the subject are able to further their passion. In the Senior School, we have an Ingrams (First and Second Form) and a Third Form Drama Club, both of which provide excellent opportunities to extend pupils’ learning outside of the classroom. GCSE and A Level candidates are invited to help run both clubs, developing leadership skills. Through these clubs we put on workshop performances, demonstrating the talents of the pupils. Recently we have explored the deconstruction of Lewis Carroll’s work and a performance of Aeosop’s Fables. We strive to create an environment where pupils are able to pursue individual interests and aims within theatre. Our main school production is staged in the Spring Term and pupils from all year groups in the Senior School are welcome to audition. Each production differs, but if it is a musical we examine all disciplines (singing, dancing and acting). Recent productions have included We Will Rock You, Sweeney Todd, Grease and The Crucible. We are currently rehearsing Jesus Christ Superstar. In addition to this we have a Junior School Production that is just for First to Third Form pupils and this is performed in the Summer Term. 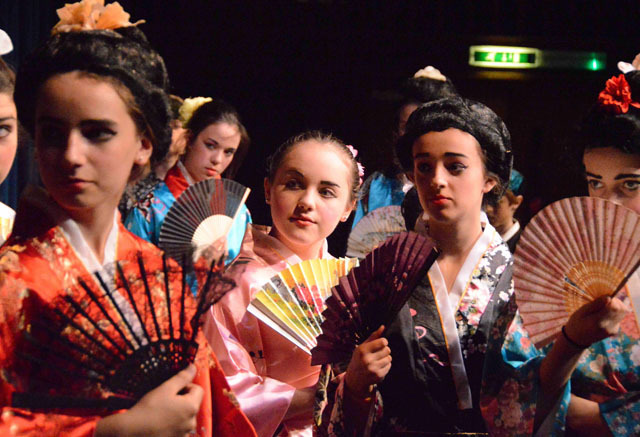 Performances have included: The Mikado and Pirates of Penzance. There is a tradition of pupils running the whole show: student directors, lighting, sound engineers, backstage crew, stage management, costume, front of house and hair and make-up. 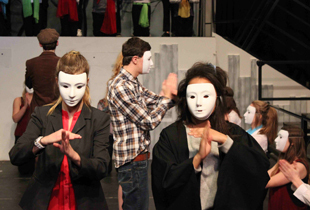 There are many other opportunities to take part in extra-curricular clubs (set design and technical theatre), trips, activities and productions throughout the School connected to Drama; those pupils who get involved become part of a family who work together to learn, progress and perform. Whole School Gymnastics and Dance Display.